We have a LOT planned for this month, so please keep an eye on your calendars. Next week, we celebrate Dr. Seuss! Wednesday- Wacky Wednesday! How silly can you dress? Field trip to the Outdoor Adventure Center is on Thursday March 28th, all parents are invited to attend with their child. We will be taking school buses. Permission slips will go home next week. Parent teacher conferences are March 14th and 21st, No school on these days, reminder slips will be sent home next week as well. The school theme for March is Reading Month is “Camp out with a good book” so I will be sending home a camping themed reading log, if you and your child read a book together, fill out the reading log and bring it to school. One a week is all we ask! We are moving into our fairy tales units, and will be doing a lot of focusing on retelling stories. Hopefully your child talked to you about this week, where we read “There’s an Alligator Under my Bed,” the children loved it, and most of them were caught “reading” it in the book area on their own. We also read about, and saw the play of “Jack and the Beanstalk” again, another favorite. The children were so good for the play. I was very proud of them. We also talked a lot about things being funny, pretend, imaginary or fake, versus things that are real. After Dr. Seuss we will be delving into the 3 Bears, the 3 Pigs, and the 3 Billy Goats, we will do a lot of activities that help the children to retell, and bring the stories to life. Stay tuned! If you haven’t checked out the Google photos page in a while, I recommend it, we have been playing in the snow, building alligator traps, building with marshmallows, and so much more! Click the link below to check them out! Please pay close attention to your calendars, we have a lot going on! 2/14/2019 Tomorrow (Thursday) Valentine’s Day + 1/2 day Pick up will be at 11:00, this is a district wide half day, teachers have professional development in the afternoon. 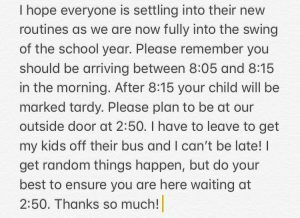 Children may bring Valentine’s for each of their 16 classmates, please only sign the from section, so your child can pass them out independently! Thank you! 2/19/2019 Tuesday Library field trip – Children arrive at 8:05, parent/guardian return at 12:50 and then meet us at Henry Ford Centennial Library NO LATER than 1:30 in the lobby. This is a trip that the children LOVE! Please fill out and return the permission slip asap! Children often struggle to verbalize what they did in a school day. Try one or two of these each night, and see what kind of conversation you can spark with your child! Have your child practice writing their first/last name. Look through an ABC book with them…have them name as many letters as they can. Practice naming the ones they can’t remember. Practice counting out loud from 1-10 or 1-20 or 1-30 (depending on what number your child can count to by themselves). Use measuring cups/spoons and have your child put them in order from largest to smallest. Walk around the house and count how many windows, beds, pillows, doors, spoons/forks you have. Write numbers 1-10 on paper and draw pictures to represent the amount of each number. Have your child help you with household chores: sorting laundry into piles by colors (sorting by color), folding towels (shape identification), setting the table for dinner (counting)…it’s getting stuff done at home and learning all in one! Spray shaving cream on a cookie sheet and practice writing numbers in the shaving cream (messy, but SUPER fun)! Call a classmate and see if they can come over to play. Go for a walk outside and keep track of how many cars pass you on the road as you walk on the sidewalk. My apologies for not getting on here sooner, we have just been so busy! We said good-bye to Malak this month, as she moved across town, and welcomed Ali into our classroom. Next week Nuor is starting a new adventure in a new state, so we will have to see who comes to be with us next! We will miss Nuor very much, and her super bright smile. We have been working really hard on writing the letters in our names, counting, and problem solving with friends. The children are all making so much progress, it is a wonder to watch it unfold. We are working on the story of The Gingerbread man, and will continue through next week. We made our own, and even got to try some! I had a request to make a house, so I am going to try and work some magic this weekend! Stay tuned! I hope you are all enjoying using the Google photos account, feel free to like and comment on the photos so I know you are looking at them! Wednesday 12/19 is the Winter Fair at Cotter school! It is so much fun! Parents and children attend together, there are lots of activities, Santa and Elsa! Look for the flyer in your child’s folder! Thursday 12/20 is Pajama Day and a 1/2 day! We will do lots of fun pajama themed activities this day! Click on the link above for exciting news from Scholastic! They make it super easy to order online. I will be getting the children the $1 books for their book boxes! If you missed the parent meeting you can catch up using the link above to review the presentation we went over today! Thank you to everyone who came today, and participated in the meeting I hope you learned some and had fun with your child. 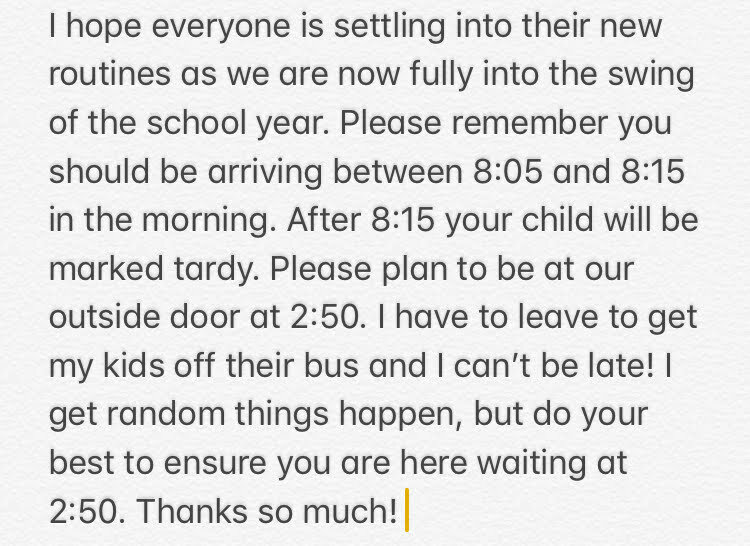 Parent meeting tomorrow at 8:45! PLEASE be on time! I am excited to share lots of great ideas and activities with you! Parents attend with children and children go home following the meeting. Just a quick friendly reminder! Please, please, please arrive for the beginning and end of the day on time! Thank you! 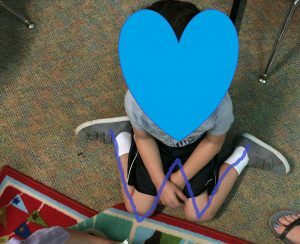 I have noticed MANY of our students sitting in a “W” position. When children sit in this manner it is a sign of a lack of trunk muscles, and can lead to tightening of the muscles in the hips and thighs. 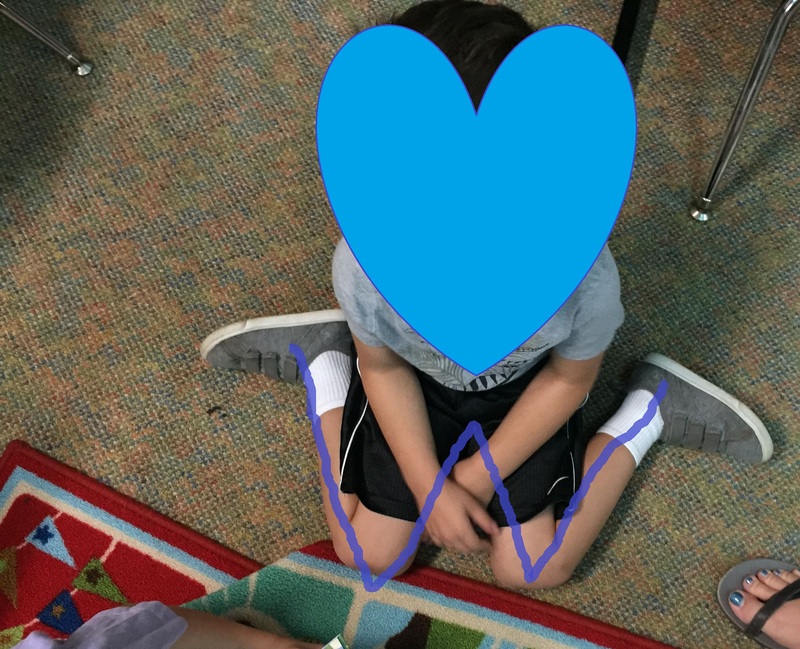 I invite the children to sit criss cross applesauce or to lay down when playing to avoid sitting like this. Please also work on it from home. We are working on introducing scissors and the proper way to hold them. Any practice your child can do at home would be amazing!! 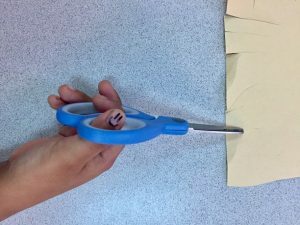 We try to encourage the children to keep their thumb up, and elbow down to maintain control of the scissors, and be using them in a safe way. I draw a small smiley face on their thumb to help remind them to keep their thumb up (see image below). 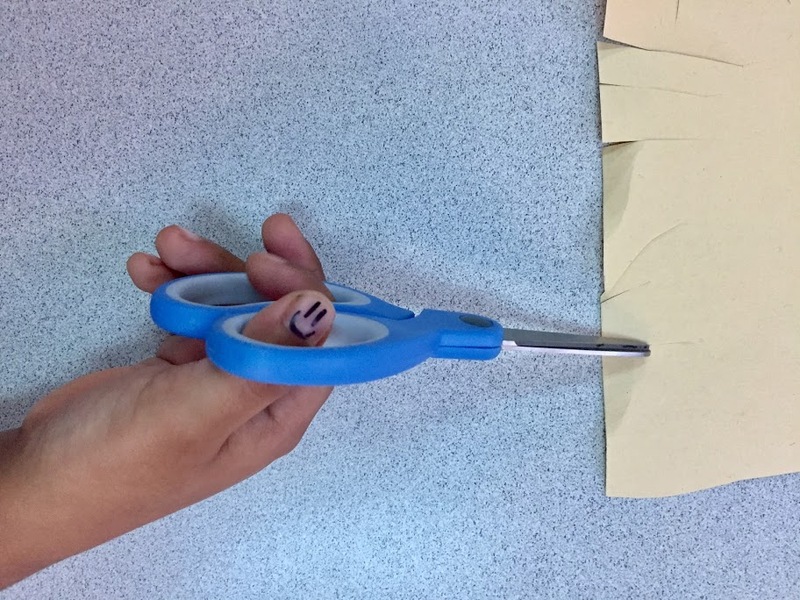 Scissors are a tough fine motor skill to master, so we try to get them into the children’s hands as often as we can. Don’t be afraid to try them at home. As always, please talk to me if you have any questions or concerns. We are here to partner with you! Have a great weekend! Happy 1st full week of school! We made it! I am so excited to see what this year will bring. The children are transitioning into school beautifully. We are working on routines and procedures and will continue to do so for the next few weeks. We have had a few tears, but that is expected, and I promise it gets easier the more consistent we all stay. We have been introducing the children to the areas in the room, and what materials are available to them. We have been spending time outside, and on our rainy Thursday we got to go to the gym for the 1st time. The children are already picking up on so much. We also welcomed 8 new chameleons to our classroom, and we will be naming them next week. The children are loving them! Please be sure to return any missing paperwork. MANY of you need to turn in a 2nd form of residency, this is a cable, internet or phone bill. I already have your DTE bill so I need an alternate bill. Thanks so much! Thank you to everyone who has been picking up and dropping off on time, it means the world to both myself and the children! Consistency is KEY in PreK! Have a great weekend and please don’t hesitate to ask questions, we are here for you! Want to see photos of how awesome our 1st week? Click the link below!